Keen Home is an incredible startup and I’m not surprised to see Mashable picked the Smart Vent as one its Top Picks of CES 2015. When Ryan and Nayeem first came into the Tank and pitched Keen Home I knew they were going to make it big. They had a clear vision, came prepared with numbers, and knew exactly what they wanted – they sold themselves really well! From humble beginnings to Smart Vents across North America, I could not be more excited and proud to watch these entrepreneurs capitalize on opportunity and achieve their own success. Right now, you can find Keen Home Smart Vents at hundreds of Lowe’s Home Improvement Centers across the United States as well as Amazon.com and keenhome.io. Soon they will be on store shelves at Best Buy and Best Buy Canada as well as Lowe’s Canada. We are also working on finalizing a distribution deal with another large home improvement retailer. Stay tuned for that announcement! What motivates you daily? In other words – what gets you out of bed in the morning? With the Smart Vent, we have a product that is helping thousands of people live more comfortably and efficiently. The team is motivated to continually improve the Smart Vent, provide excellent customer service, add new customers through new marketing initiatives, and develop new products that solve real problems for homeowners. Starting with room-by-room temperature control, we’re trying to change the way people live in their homes. Find a need, fill a need! Why did you start the business in the first place? We started Keen Home because we recognized an opportunity to add intelligence to certain core areas of the home that were being ignored by other tech companies. In the last few years, there has been a lot of innovation focused on a relatively narrow range of home-related products. Keen Home brings sophisticated tech and beautiful design to certain forgotten, yet critical, systems that keep everyone’s homes running. 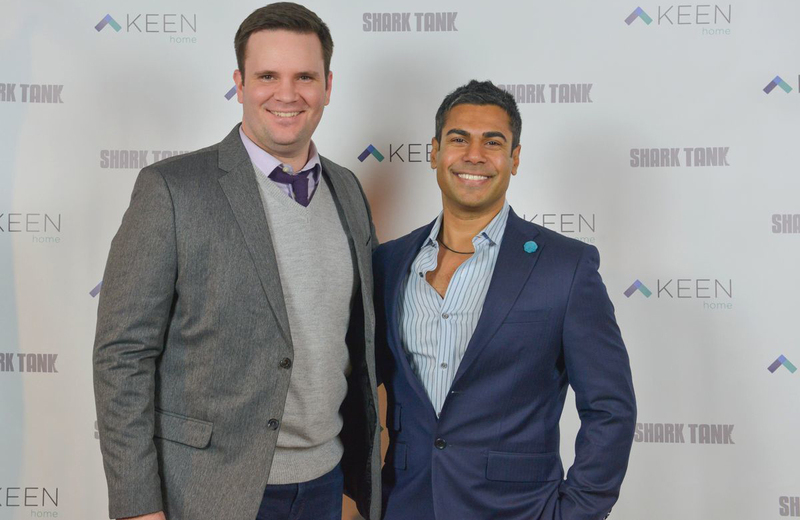 Looking back on your Shark Tank experience, what were the top three lessons you learned? Have fun and enjoy the moment! We were very well prepared for the variety of questions the Sharks threw at us so we were able to really stay loose and enjoy ourselves. Don’t enter the Tank until you know your numbers. If you seem unsure about your projections, or manufacturing costs, you will come off as unprepared. Stand up for yourself and project confidence. The Sharks will ask tough questions and can sometimes be pushy or aggressive. Have confidence in yourself as a leader and in your business and answer with authority. In the end, as long as you are respectful, your confidence will reflect favorably on your chances of closing a deal. Entrepreneurship affords us the ability to drive meaningful change in the world. Despite all the struggles and sacrifice, there is no better feeling than realizing your dream and creating a brand new product that can solve deep pain points for users. What is the definition of success for you? How do you measure your success? Success for Keen Home means selling millions of units to homeowners around the world. An obvious measure of our success is our top line revenue growth. Other measures of success are: increasing energy efficiency across millions of households, employing hundreds of people, promoting honest and fair manufacturing and labor practices, and changing the way people live in their homes through innovation and creativity. Is there a price for achieving all of that? What sacrifices have you made for the success you’ve already seen? Building a company from the ground up involves many long hours, periods of high stress and uncertainty, and personal financial risk. To build Keen Home, we have spent tens of thousands of dollars of personal money, sacrificed precious time with friends and family, and dealt with many stressful situations. After completing his MBA, Nayeem could have chosen a conventional path and continued a career in finance. Instead, he sacrificed a large salary to take a risk and attempt to build Keen Home alongside his co-founders. There is no success without failure. Tell me about a time where you’ve failed. When we first sought to raise money from investors, we didn’t have a good sense of how long the process would take or how difficult it would be. In short, we kicked off the process too early in our company’s lifecycle and spent many months underwhelming professional investors. This is a typical mistake of first-time entrepreneurs and we learned first-hand to be more disciplined with the fundraising process. Now when we seek outside capital, we make sure to have all of our investor materials finalized, research and identify target investors, set a definitive timeline, and have a solid backup plan if we can’t raise funds by our self-imposed deadline. This disciplined approach has led to several successful fundraising outcomes for us. You Don’t Have to Be A Shark is about sales at its core. What has been your biggest sales hurdle and what did you do to reach the next level? 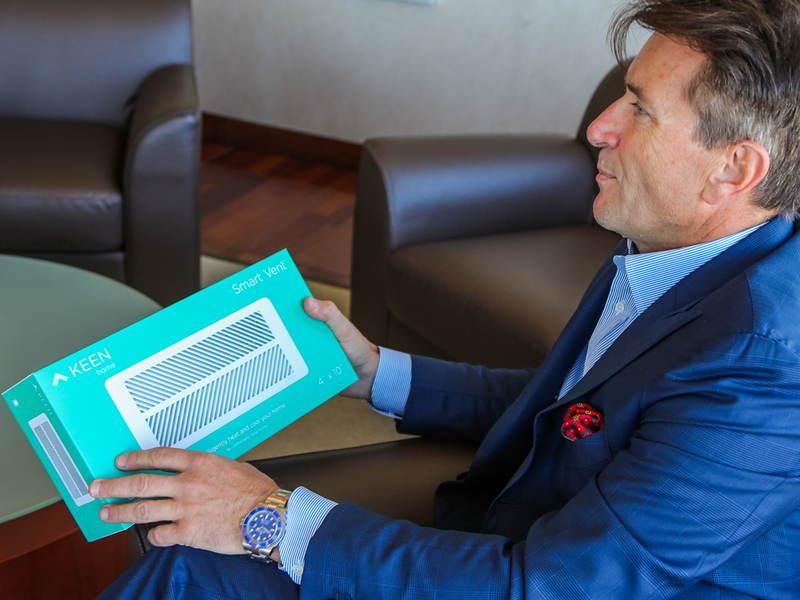 Since the Smart Vent is an entirely new product category, our challenge was to market and sell this product to homeowners throughout the U.S. and Canada. We conducted thorough consumer research on pricing and perceived value yet we were unsure how quickly consumers would adopt our new technology. Upon launching the Smart Vent, we executed numerous digital, traditional, and email marketing campaigns to raise brand awareness, drive traffic to our website, and encourage conversions. Due to our targeted marketing initiatives we were able to exceed our sales goals by driving repeat purchasing and referrals. I’m thrilled to be on this adventure with you! What’s next for Keen Home? In addition to room-by-room level airflow control, Keen Home is bringing effective, high quality, and smart air purification to the most logical location in a home—air vents. Stand-alone air purifiers are expensive and only as effective as the room they are placed in. The Keen Home Smart Filter, with 3M High Airflow technology, can provide effective whole home air purification while providing advanced filtration against common household contaminants like pollen, lint, dust mite debris, and mold spores. The Smart Filter also contains an active carbon layer to remove offensive odors and eliminate common household toxins. Launching our Smart Filter this summer will continue to add value to Smart Vent customers and help improve the indoor air quality for millions of homeowners. Starting with room-by-room temperature control, we’re trying to change the way people live in their homes. Entrepreneurship affords us the ability to drive meaningful change in the world. Building a company from the ground up involves many long hours, periods of high stress and uncertainty, and personal financial risk. 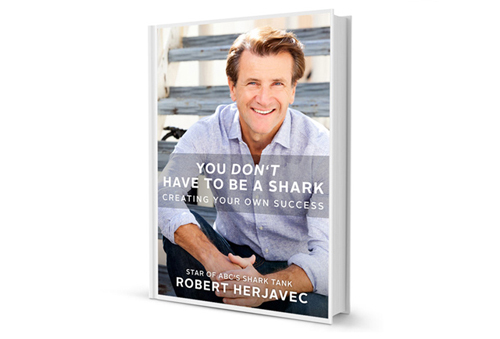 You Don’t Have to Be a Shark is filled with personal anecdotes and life lessons you might have learned in business school (or at least you think you might have). 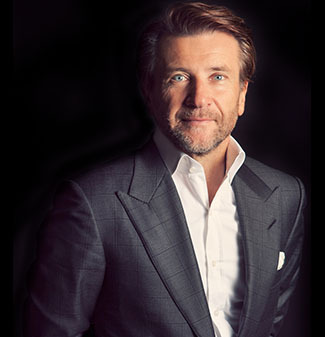 By drawing from my own life experiences, I will teach you how to how to use pure sales techniques to be more successful in every aspect of your life. My philosophy is simple: great salespeople are made, not born, and no one achieves success in life without knowing how to sell. You Don’t Have to Be a Shark will teach you all that and more. Order your copy today.